Is your home cook-top or bbq low on space leading up to your event? 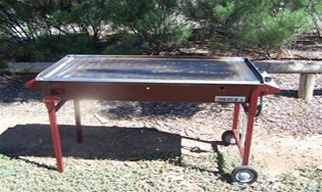 Get the space you need, or add some extra space with our 1.15m BBQ ready for hire, gas included! Perfect for chicken or rolled meat, our mini and charcoal spit installations are perfect for getting a lot of meat into your guests stomach. 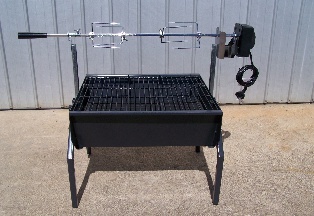 With the capacity of 25kgs your spit roast will have the ability to cook large quantities of tasty meat. A guaranteed hit at your event, who’s heard of a bad charcoal spit roast?